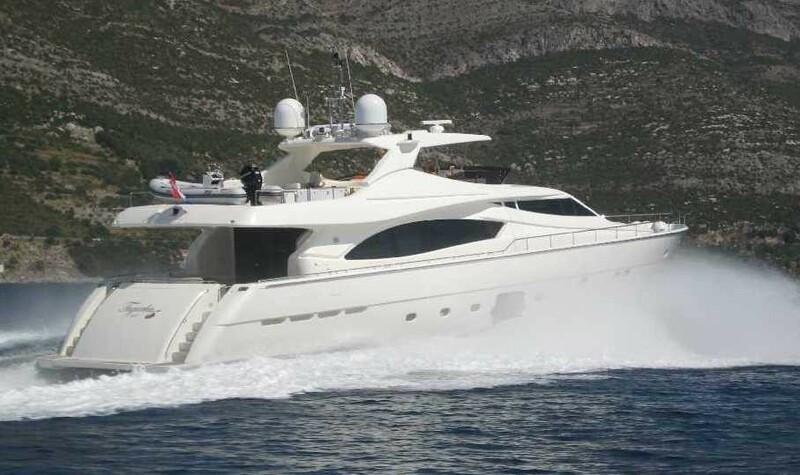 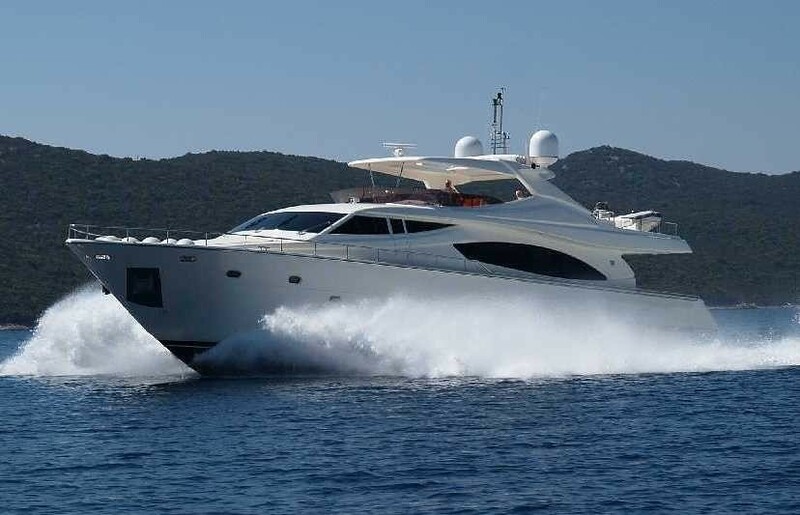 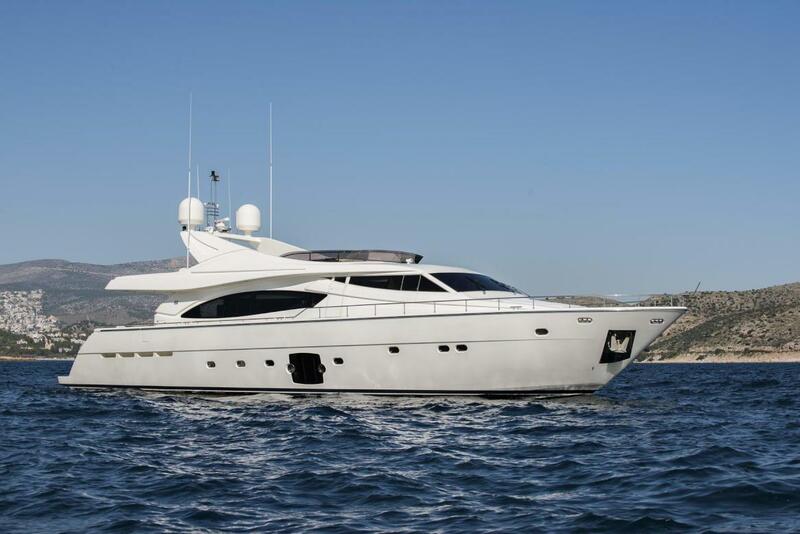 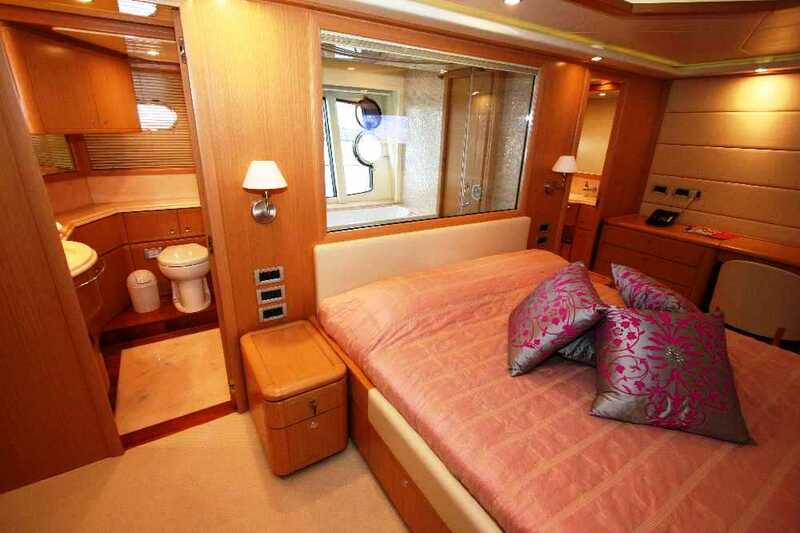 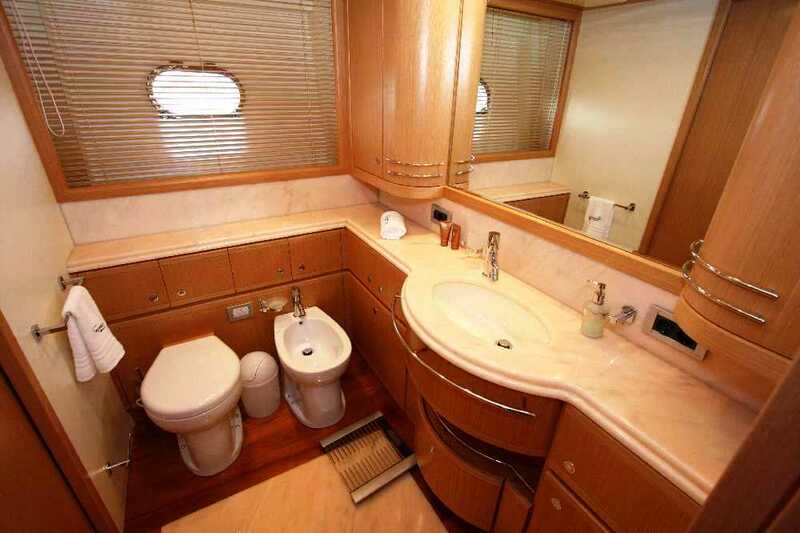 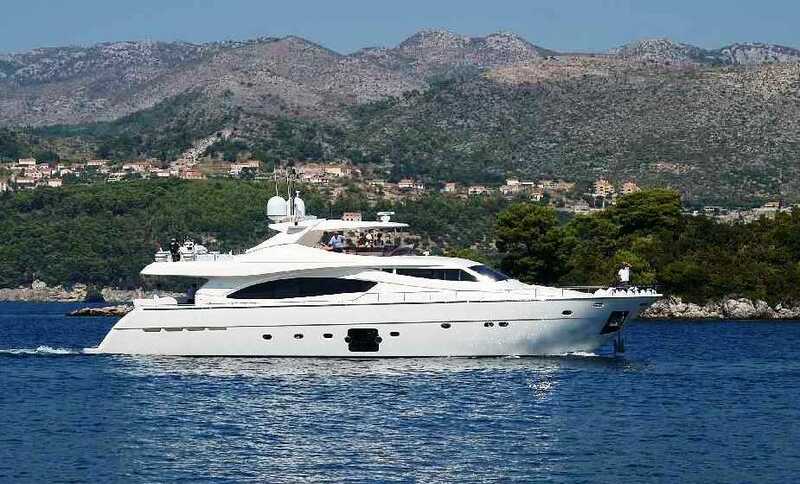 TUGARKA is a Ferretti 881 motor yacht (27,03m - 88' 8") built in 2008. 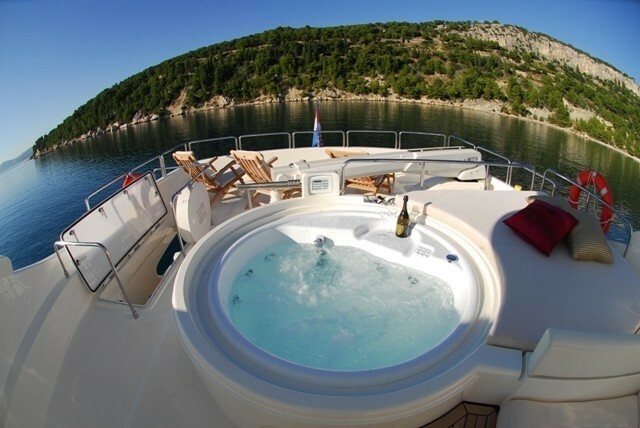 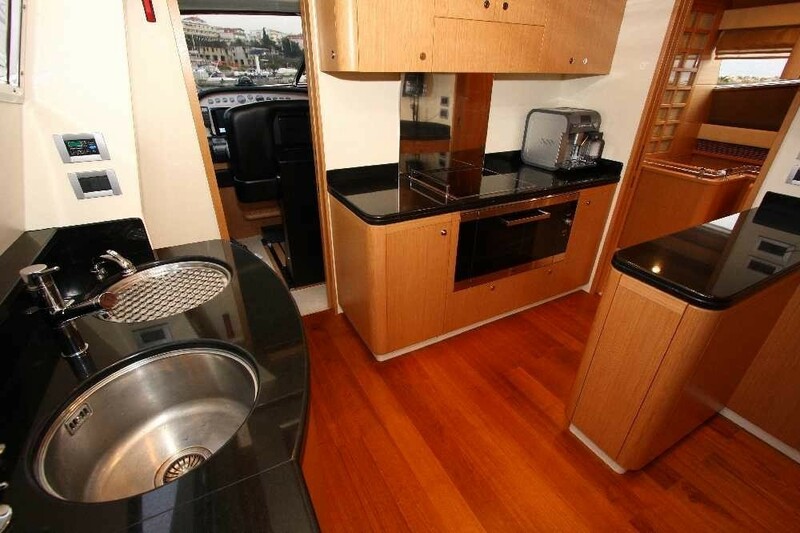 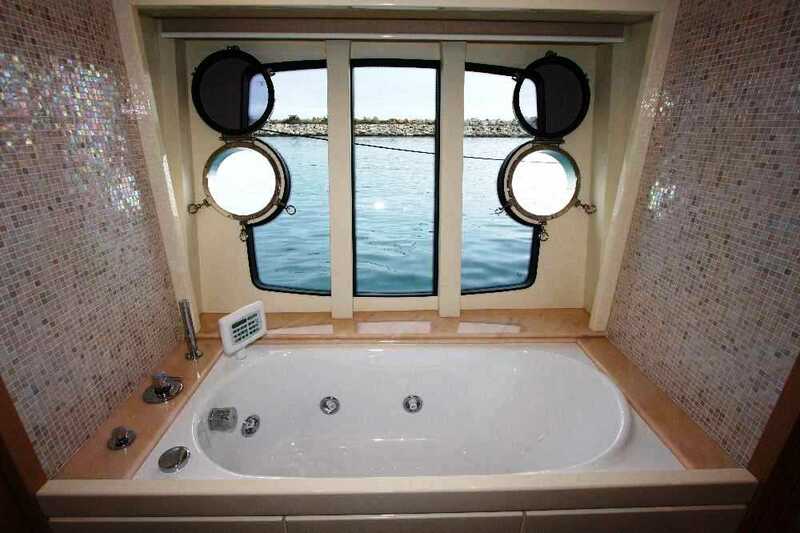 She can accommodate up to 10 guests in 4 well appointed cabins. 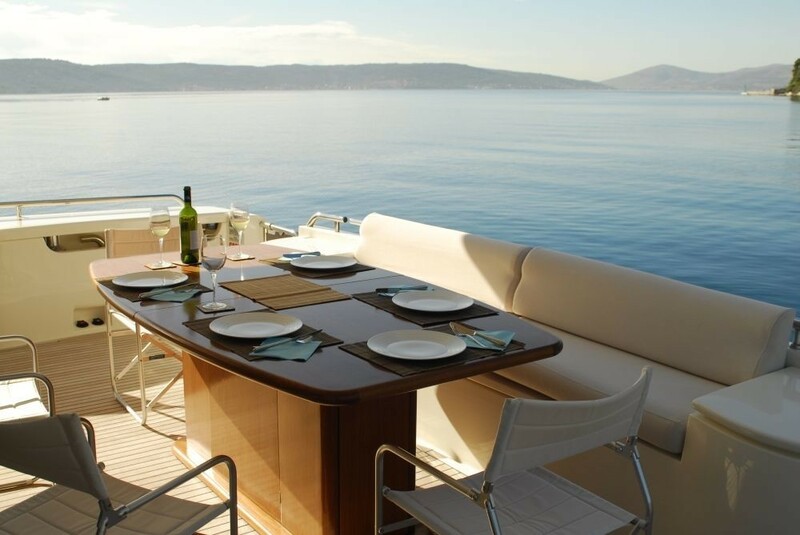 TUGARKA is both elegant and stylish, with sleek lines and a clean-cut finish. 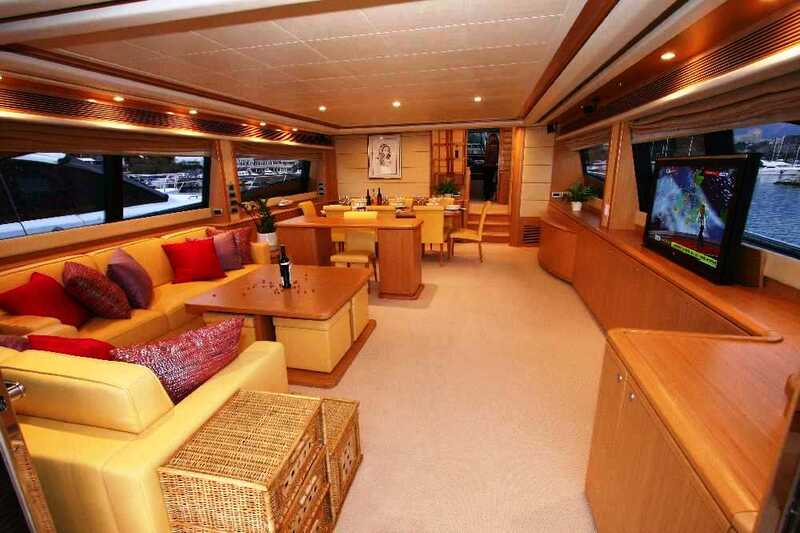 There is plenty of space for entertaining indoors. 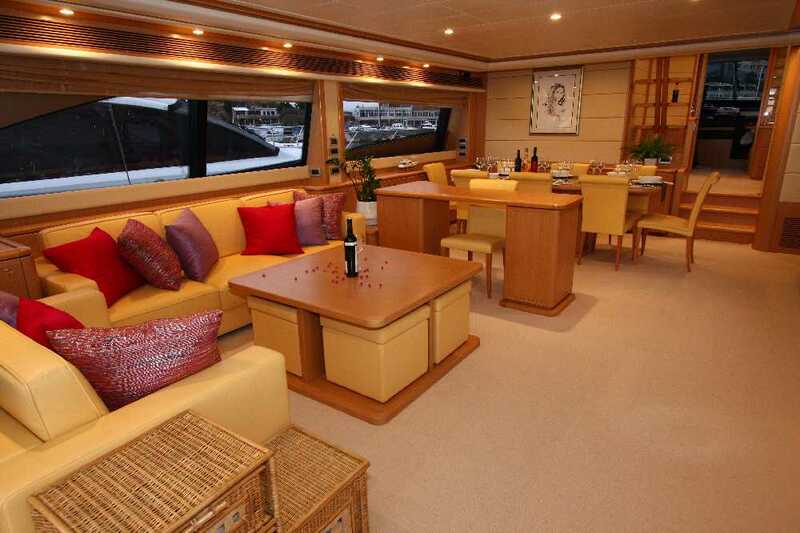 Her saloon is a blend of neutral tones and wood, with large sofas around a coffee table followed by an open plan dining area, perfect for socialising. 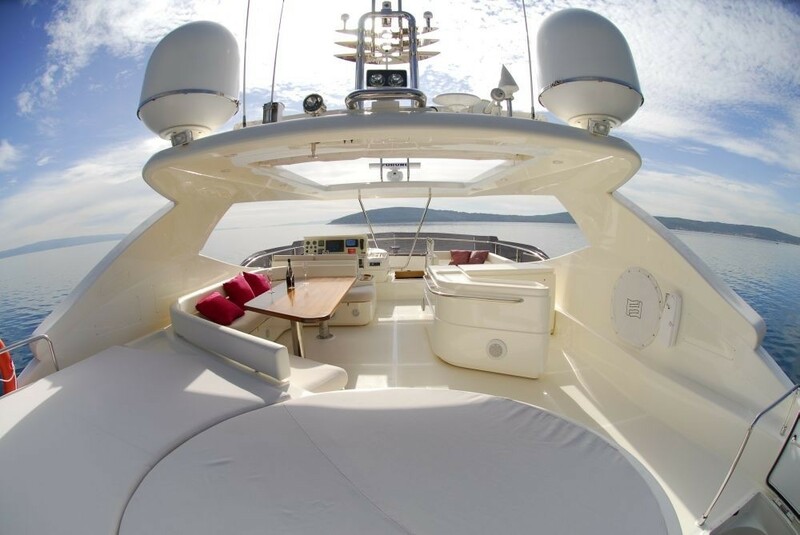 The large decks allow you to soak up the rays and enjoy entertaining in style. 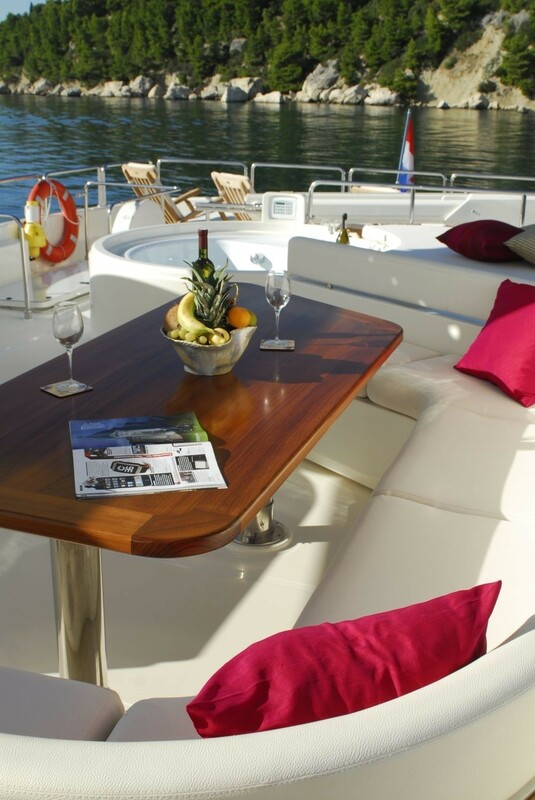 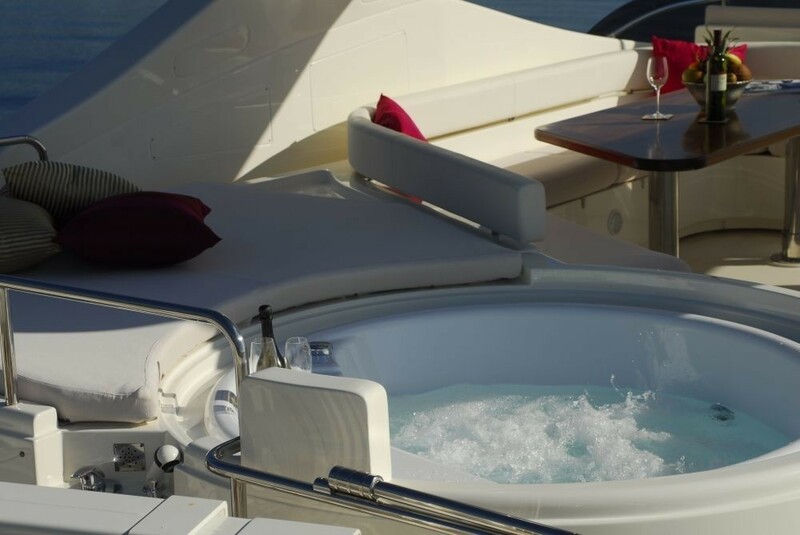 The aft deck is spacious and boasts a large table, perfect for alfresco dining, whilst the upper deck is ladened with silk cushions and provides excellent sun-lounging facilities as well as a very luxurious Jacuzzi and reclining area, ideal for relaxing and enjoying the company of family and friends. 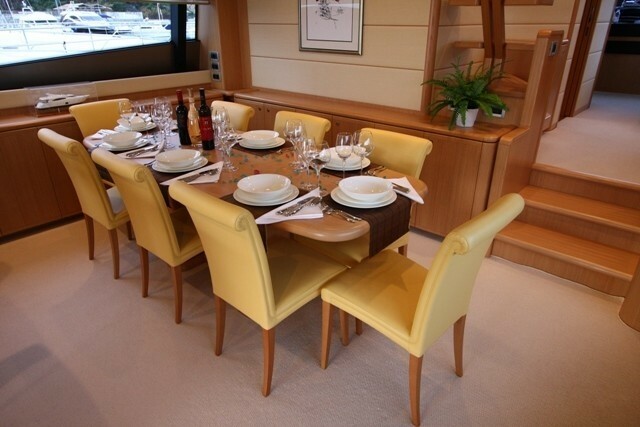 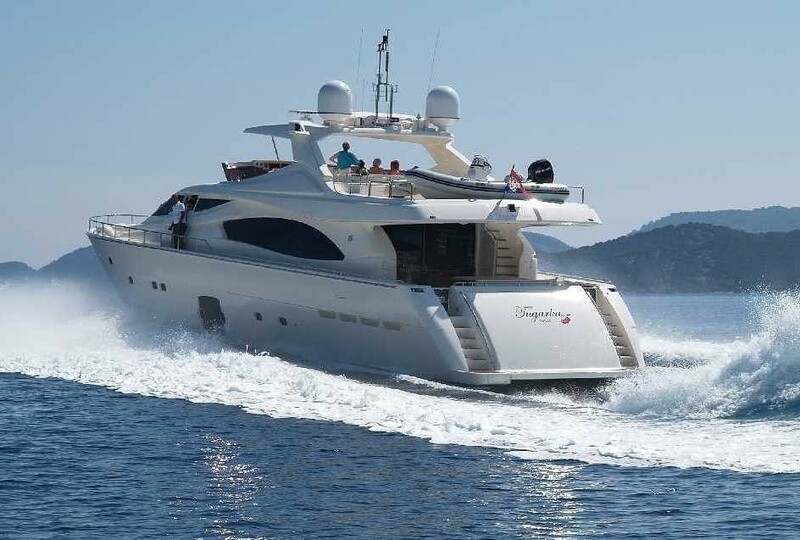 The yacht is powered by 2 x MTU 2200HP engines and can attain speeds of 20-27 knots. 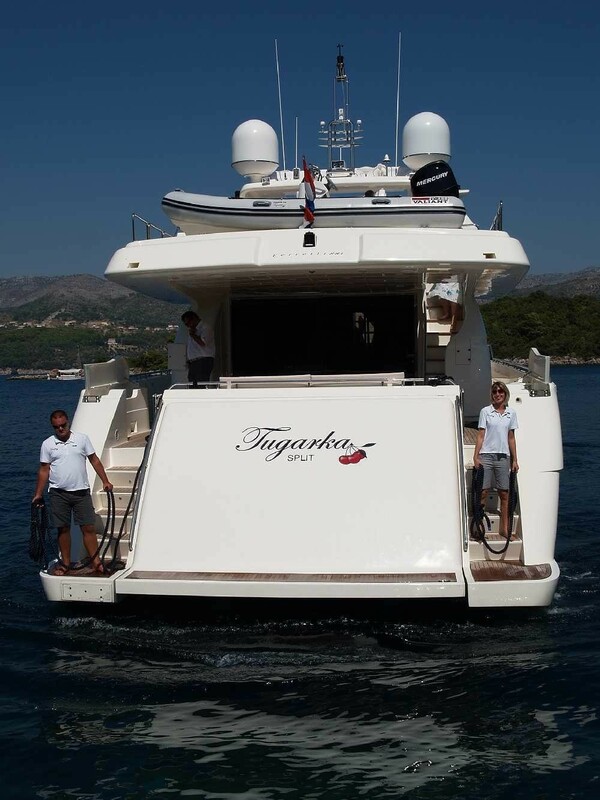 TUGARKA can accommodate 10 guests in 4 lavishly designed cabins. 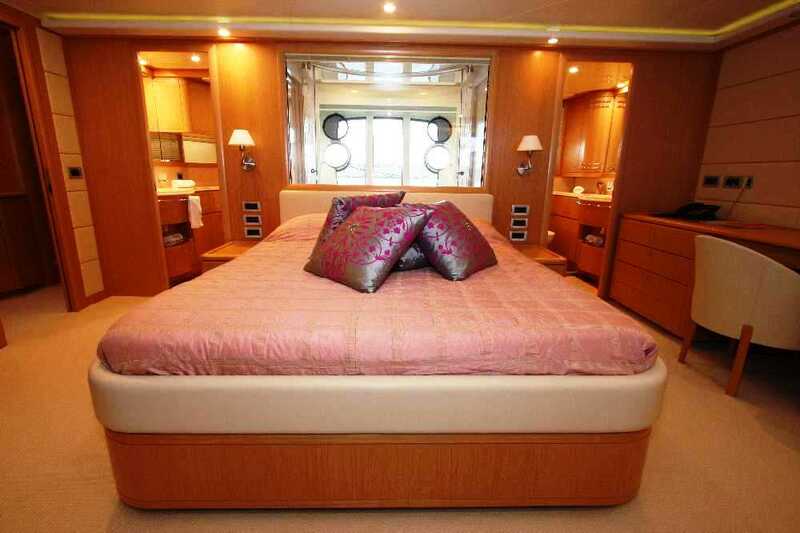 Her Master cabin has a king bed, her VIP cabin has a queen bed while her 2 Twin cabins have single berths with additional pullman bunks. 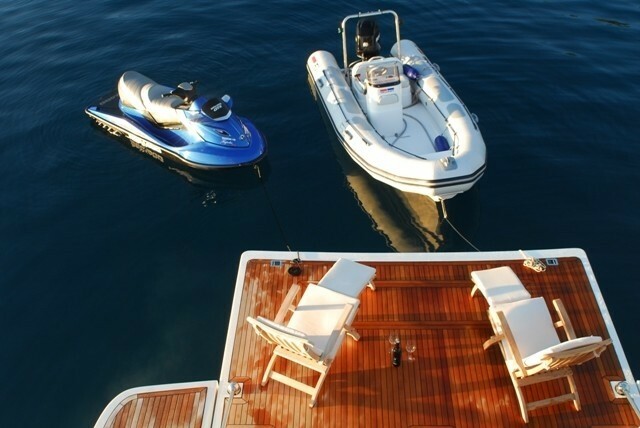 TUGARKA has a great range of Tenders and Toys including: a RIB Valliant 450 tender with Mercury 4T 50 hp, a Jet ski SEA DOO GTX Limited with 215 hp, Water skis, a Wake board, an Inflatable banana, an Inflatable donut, Inflatable jet ski, Snorkelling equipment. 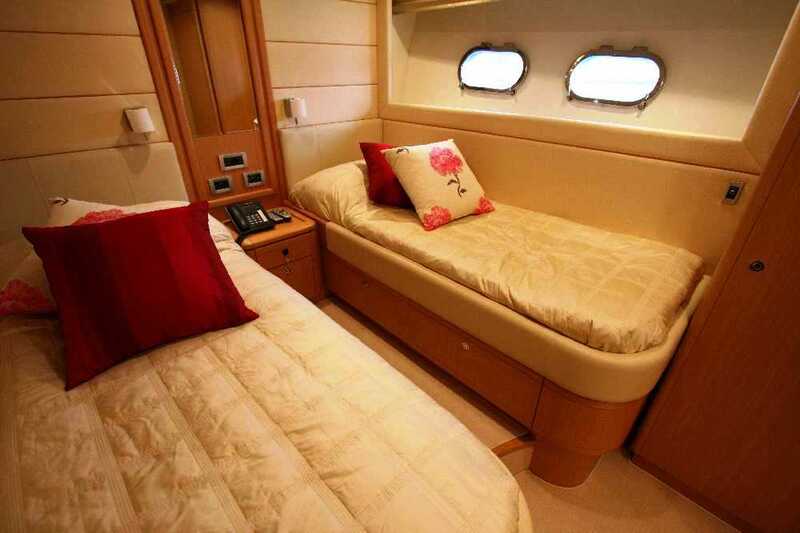 Communications include a GSM phone and fax. 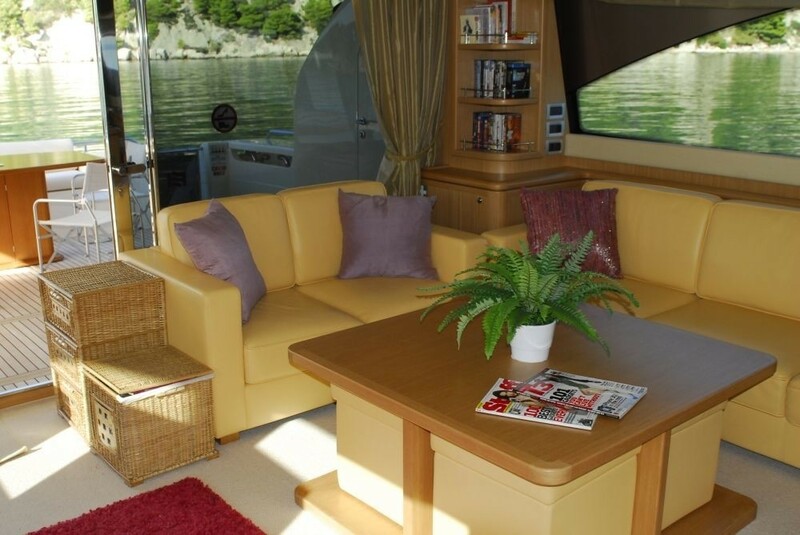 Audio Visual Equipment and Deck Facilities include: a Flat screen TVs and DVD Players throughout, Satellite TV, a Kaleidescape Hard Drive System with DVD and CD library, a Bose sound system and a Ipod docking system.